One of the many games announced over the last couple of days is Death End Re;Quest, a new JRPG franchise from Idea Factory that promises to do some really creative things. In the game you’ll be able to swap out of JRPG mode into a number of other genres — it lets you jump into a fighter, shooter, and slot machine gameplay environment at will. Coupled with a story of fantasy and reality blurring, and you’ve got a game that promises to be trippy, to say the least. The game releases exclusively on PlayStation 4, and will land on stores in early 2019. This game could go anywhere if it doesn’t nail each and every one of the genres that is represented within it, but we have high hopes that a team as experienced as Idea Factory will nail it. FFXIV’s newest update is here, kupo! 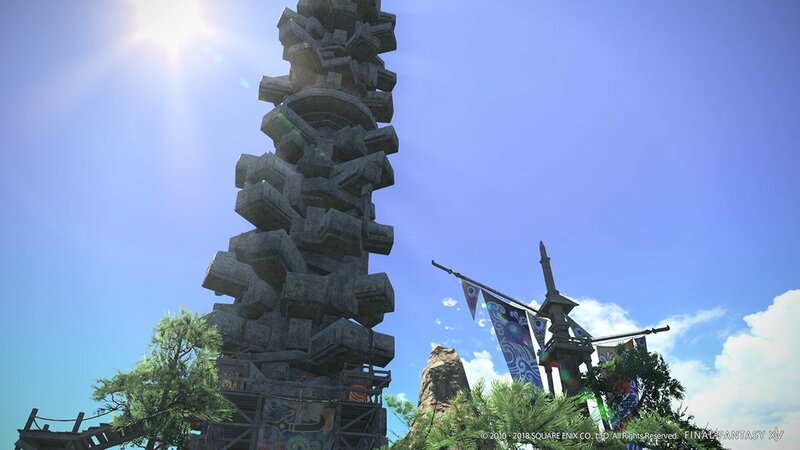 Patch 4.3.5 has finally hit Final Fantasy XIV, and it brings a host of new content for players to sink their teeth into. The highlight of the patch is the dungeon Heaven-on-High which offers 100 floors of goodness, as well as a full set of glamours being released to commemorate the occasion. There are new Magicite items that will accompany the dungeon, and Empyrean Aetherpool Weapons are now usable in the main story. On top of the new content, there’s the usual interior design roll-out that includes furniture, orchestrion rolls, and new emotes to cheer up your friends. There are new mounts (a giant dodo is perhaps the most striking), new minions, new achievements and titles, and new crafting recipes too! If you’ve been making progress with the Doman Enclave restoration project, then you can expect to see some new quality of life changes there including new dialogue, tweaks to the donation interface, and more. On the combat side, not too much has changed. Astrologian players have had nerfs to their card durations, but Samurais, Paladins, and Black Mages have gotten some buffs in the form of reduced cast time or increased potency. If you’ve been holding off on jumping back into the game, now is as good a time as any with the game’s focus on new group content. Take a break from the serious story and leap into some fun with HoH(s). 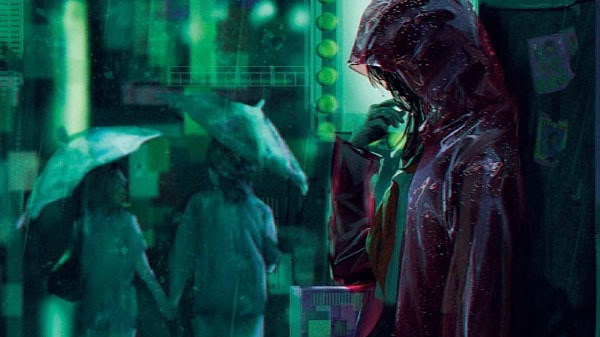 Aksys Games, one of the pre-eminent localisation outfits for visual novels, has announced that it has picked up Death Mark, a horror story about urban legends. In this case it’s about a “mark.” Anyone who has one is guaranteed to die. And, of course, you play as someone who has the mark, and is now looking for a way to escape their fate. It’s the kind of story that’s not uncommon in Japan — think of the likes of The Ring — and when it’s done well, it’s also incredibly effective. We don’t have a release date for the game yet, sadly, though we can assume that it’s likely going to be 2019. The game will be available on PlayStation 4, PlayStation Vita, and Nintendo Switch. More Aggretsuko! Sure, there are other parts to the announcement, but the return of everyone’s favourite heavy metal, office-working red panda is the one that made me jump up and scream with glee. Retsuko first appeared in a series of animated shorts that aired from 2016 to 2018, but her very own series launched this April on Netflix. The ratings are amazing. The music is amazing. The characters are proteeeeeein. Prepare for more, coming next year. In other Netflix renewal news, the second season of Castlevania will be available this October 26. But that’s not all, as Netflix is adding a handful of new anime to its lineup — Ultraman, Kengan Ashura, Godzilla: City on the Edge of Battle (July 18), Dragon Pilot (September 21), and Cannon Busters (April 1, 2019) are also on the menu. Ultraman is actually more of a continuation than a new series, as it picks up where the 1960s Japanese series left off; Ultraman can turn into a giant alien to protect Earth and will do so again beginning next year. Kengan Ashura is the title that has me most excited, and will also launch next year. The mid-50s protagonist is hired by his firm as a gladiator, and the winner of the match becomes chairman of the Kengan organisation.